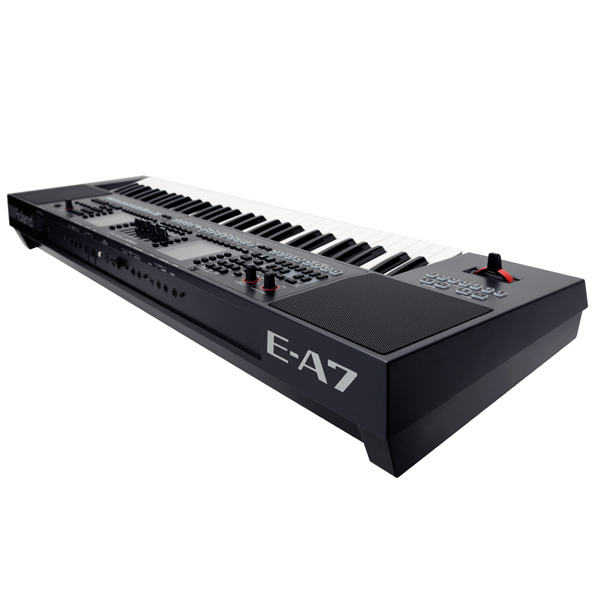 The E-A7 is a versatile arranger keyboard for musicians needing professional sounds and authentic backing styles from all over the world. Using the E-A7 is fast and intuitive thanks to its logical dual-screen layout—styles on the left and sounds on the right, with most options having dedicated, quick-access buttons. You can import WAV files to create your own instruments, or even sample directly from the keyboard. 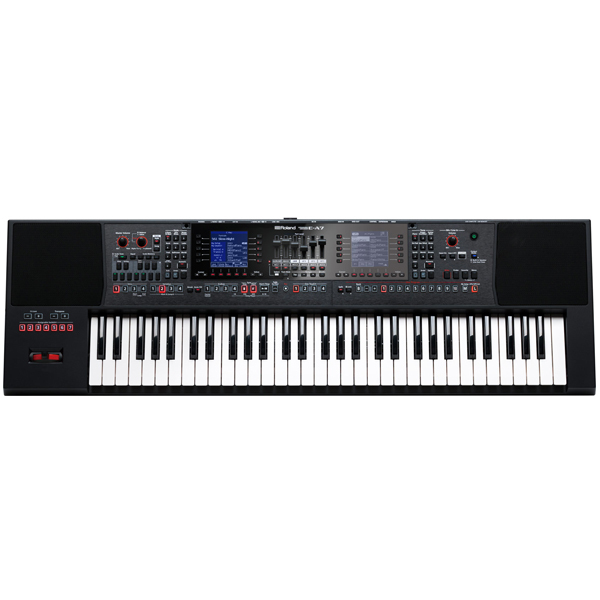 And with the powerful E-A7 Tone Manager software, you can use your computer to edit and organize user tones and drum kits, work with samples, and more. 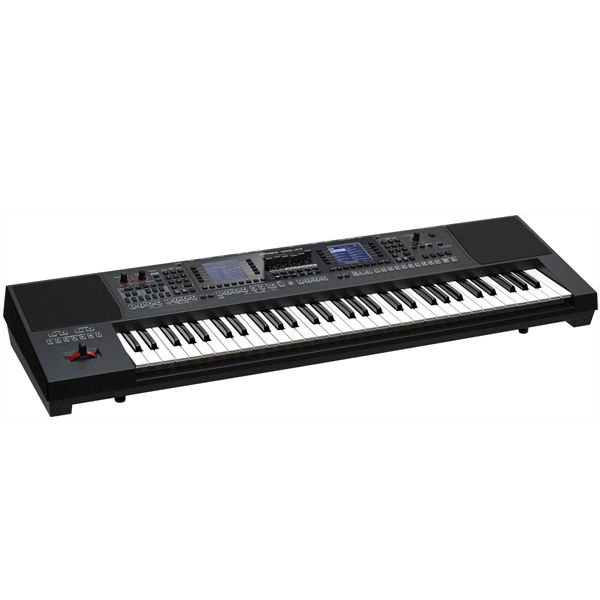 Singers will appreciate the microphone input with dedicated vocal effects, while the whole keyboard is easy to gig with, weighing in at just 8 kg/18 lbs. Wherever you’re going with your music, the E-A7 will help you get there. > Easy to carry and transport, weighing just 8 kg/18 lbs. * Samples and multisamples can be exported to USB Flash Memory as User Tone or User Drum Kit. * Samples and multisamples can be used as wave data for the sound engine. – Tunings can also be saved to User Program memories. Copyright © 2017 Multi Audio Visual. All rights reserved.